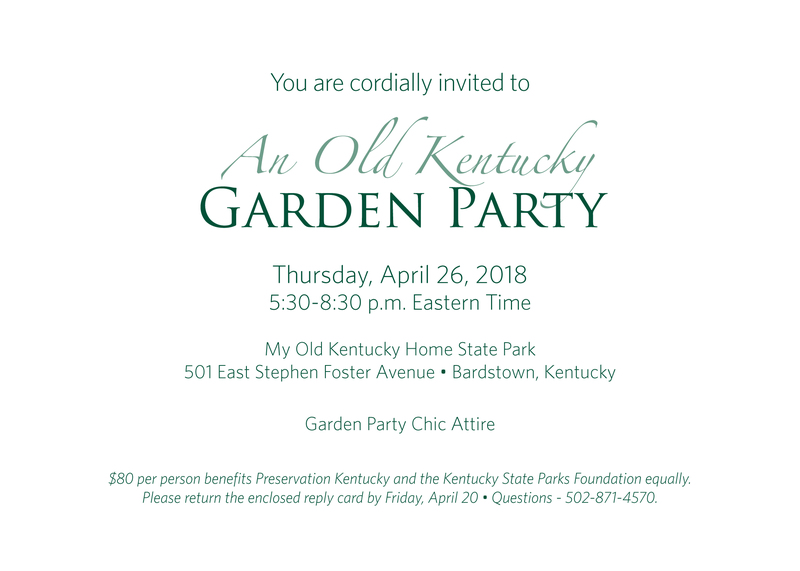 Join us for our 3rd annual Old Kentucky Garden Party on Thursday, April 26, 2018, from 5:30pm – 8:30pm eastern time at the beautiful, historic 1795 Federal Hill Farm in My Old Kentucky Home State Park. 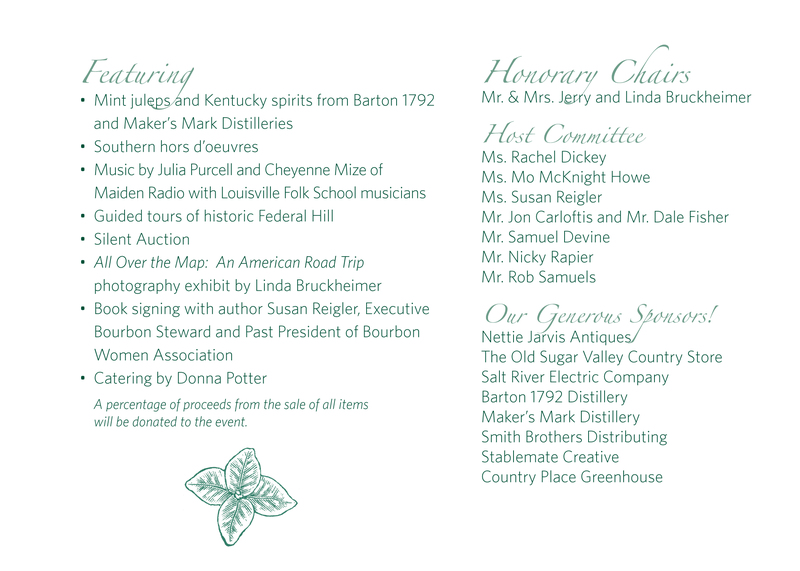 *$80 per person net proceeds benefit Preservation Kentucky, Kentucky State Parks Foundation equally. *Questions – call 502-871-4570 or email rsvp@preservationkentucky.org.